Losing our dependence on others to change but instead to look inward to reflect on and reconsider our own perspective and response to our difficulty. This page introduces the Underlying Philosophies of Mediation that inform effective support for conflict resolution. .... that support the resolution of conflict. Click on the links to these pages to find a description of the relevance and importance of integrating the Underlying Philosophy described into any approach to supporting the resolution of conflict. All of the Underlying Philosophies of Mediation imply each other in that they all acknowledge that effective conflict resolution support is always about enabling others to resolve their own disputes and not about trying to control or change the behaviour of others. As mentioned frequently on this website, 'techniques' which seek to manipulate or control others are methods of conflict suppression which is basically a form of conflict avoidance. Conflict avoidance is like putting a lid on a boiling pot. Temporarily it will look as if the problem has gone away, but in a short time it will burst out again, often more violently or more dramatically than before. Sadly there are many such techniques in the mediation and alternative dispute resolution world as well as in the 'day to day' world. I will mention examples of these where they are relevant to the content being discussed and will say why I think they are still conflict suppression or conflict avoidance techniques. How long ago did the major world conflicts have their origins? Even conflict suppression techniques used hundreds or even thousands of years ago have still emphatically failed. And in many cases they are still being used today.Internationally, locally, and between you and I. Effective conflict resolution support enables people to find ways of controlling or changing themselves. 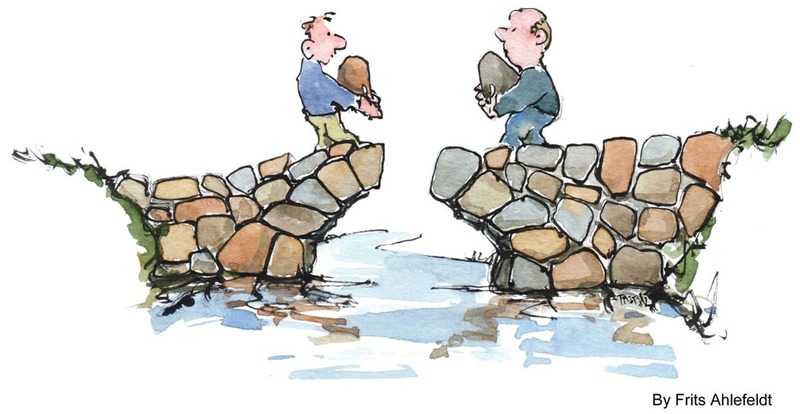 Ineffective support has an approach in which the practitioner intervenes in a way that implies he/she knows 'better' than those in conflict how to control or change themselves. Hence, he/she tries to control, and to change them rather than support them in changing themselves. This is a manifestation of the Rescuer Syndrome - a major obstacle to the resolution of conflict and an escalator of the destructive responses to conflict. Listen to how a mediator or other alternative dispute resolution practitioner speaks. Do they say 'I resolved their conflict!'? Or do they say 'I helped them to resolve their conflict!'? Many practitioners do not reflect on whether they are doing these things or not. As a result, a lot of approaches to dealing with destructive conflict are ultimately ineffective. 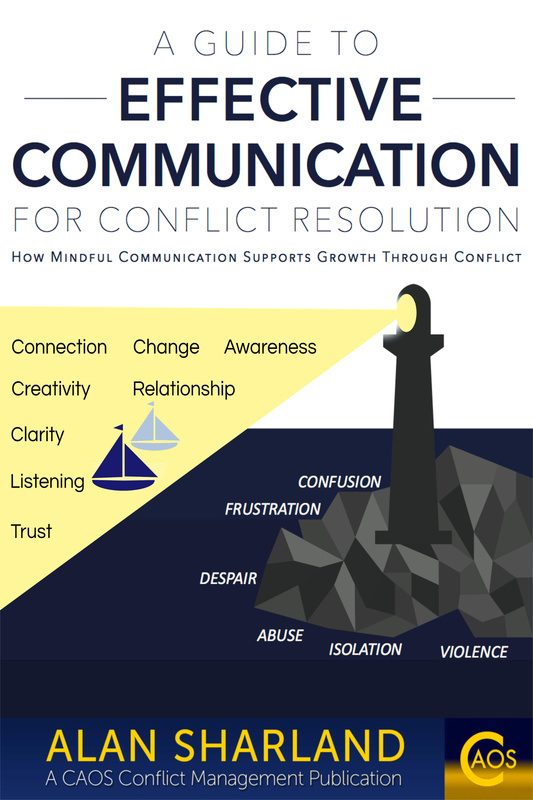 A Guide to Effective Communication for Conflict Resolution introduces the 9 Principles that are also described on this site to help the reader develop a 'mindfulness' in relation to their communication in a way that supports the resolution of conflict. In this book, Alan shares his observations and learnings from working as a Mediator and Conflict Coach with regard to the ways that people become stuck in unresolved conflict but also how they go on to create more effective ways forward in their difficult situations. "I think you put together so well all the essential components of conflict transformation in a way which people can relate to and understand. A brilliant book and I will recommend it to everyone."